A trust is established for a family with a payment of an amount, called "settled sum" by the settlor to the trustee to be held in trust in accordance with the deed for the benefit of the beneficiaries. Many business owners prefer to run their businesses under a trust structure due to the many advantages that it offers over other structures. A family discretionary trust is where the beneficiaries are all predominantly family or related members of the same family and the trustee has full discretion which beneficiary gets which distribution portion of income or capital of the trust. The trustee owns the property of the trust and distributes each year; income of the trust, to various family members with a common purpose. This common purpose includes minimizing the total income tax to be paid on trust's net income. Trusts are created by a legal document called a “trust deed” prepared by a solicitor which outlines the purpose of the trust, the rights and obligations of the trustees and beneficiaries, powers of the trustee, and identifies various parties such as initial Beneficiaries, Trustee(s) & Appointor. Who is a Settlor? What is the role of a settlor? A trust is created by “declaration of trust” on property of the trust or by payment of settlement of money by a person called the “settlor” to the person called the “trustee”, to deal with trust funds as provided in the deed of settlement. Care should be taken that Settlor of a Discretionary Trust is an independent person. Settlor cannot be a trustee and cannot be a beneficiary of the trust and nor his spouse or children be beneficiaries. A trustee of trust or a beneficiary cannot act as settlor. The settlor is usually a friend or accountant who helps the client to establish the Discretionary trust. The settlor has no right to income or capital of the trust assets and once the settled sum has been paid by the settlor and trust deed has been executed, it will have no further role in the trust. When property is transferred to the trust from a family member, as settlement money, there could be stamp duty & capital gain tax issues, care should be taken to decide this amount. Usually this amount is below duty amount and is only $10. What is the role of a appointor? Although it is not necessary to name an appointor but to handle the situations arising from the death or insolvency of trustee(s), naming an appointor is considered advisable. A Beneficiary or even the Settlor could be named as an appointor. The "initial appointor" is usually mentioned in a schedule to the trust deed. The deed allows appointor to resign and nominate another person(s) as appointor in his or her place. If an appointor dies without making such a nomination then the deceased appointor’s legal personal representative can become an appointor of the trust till such time that another appointor is appointed. Trustee is appointed by Settlor with powers contained in the trust deed. Trustee owes a duty of care of "good faith" to the beneficiaries and the deed requires that all trustee(s), at all times, act in best interests of all beneficiaries. Trustee may be held personally liable for debts incurred in their capacity as a trustee but have the right to be indemnified out of the assets of the trust. A trustee can resign if he / she so wishes by giving notice to appointor or to all beneficiaries. Trustee(s) are responsible to look after trust funds by investing & managing it and distributing to various beneficiaries at the end of the financial year. They must also maintain books of account and lodge relevant income tax returns with the tax office. Trustee can either be one or few individual(s) or a company. Individual trustee(s) should not be below 18 years of age and should not be a disqualified person(s). If trustee is a company, its affairs are controlled by its directors and eventually by its shareholders by virtue of their power to appoint or remove directors. Usually family members of a discretionary trust incorporate a (new) company to act as a trustee and nominate various family members as beneficiaries. Where there are not enough family members to reduce total tax to be paid by the family on trust income, advisors may recommend that (another) company is incorporated and appointed as a beneficiary (see below), so that tax is paid on trust income at company tax rate instead of higher Individual marginal tax rate. Individual trustee(s) can also be beneficiaries, however, most advisors would prefer a company to act as trustee of the trust and family members (who can also be directors of the trustee company) are beneficiaries of the trust. There is no rule that Individual trustees cannot also be beneficiaries, but since trustee(s) are to be seen to act in the benefit of ALL beneficiaries, having one or few Individual beneficiaries as trustee(s) may break that fiduciary duty of trustee(s). Hence many advisors prefer a company to act as trustee. Can I sole trustee also be a sole beneficiary? When there is only one individual trustee and the same person is also the sole beneficiary of the trust, this situation can lead to an invalid trust as a person cannot hold an asset on trust for his or her own benefit. In such a situation, alternate structure can be considered such as a new company to act as a trustee with sole director then that same person can be the sole beneficiary of the trust. What is the role of a beneficiary? A beneficiary is a person for whose benefit the trustee holds trust property. In most trust deeds "initial beneficiaries" are noted in a schedule and are usually family members or other close relatives. There are classes of beneficiary who can be parents, grandparents, brothers, sisters, children, grandchildren, aunties, uncles, nephews, and nieces of initial beneficiaries. You can also have a related company or a charity as a class of beneficiary. You must be careful in nominating another trust as beneficiary of the original trust as predominately income of the trust must remain in the family, other trusts may have other beneficiaries who are not family members of the original trust. The root benefit of a discretionary trust is to distribute income of trust to beneficiaries who are likely to pay the least amount of income tax. Due to this trustee’s discretion, the beneficial ownership of assets of the trust does not pass to any beneficiary till "vesting date". Trustee has legal ownership but not beneficial ownership of trust assets. Hence, even if a beneficiary becomes insolvent, his creditors cannot claw back assets of the trust. What are the advantages of having a corporate trustee? Assets of the trust are held in the name of trustee(s), if trustee is a company then private assets of Individual trustees generally cannot be confused as trust assets. In case of death of individual trustee all assets of the trust have to be again transferred in the name of new individual trustee, however if a company is a trustee, there is no change of ownership of assets even in case of death of director of trustee company. The directors of Trustee Company can be beneficiaries in their individual capacity whilst still being in control of the trust. What are the main duties & powers of trustee? Trustee must act in "Good faith" whilst handling trust affairs, this means that trustee must put interest of the trust ahead of his or her personal interest and act in a manner a person would in dealing his or her own personal assets. to keep the trust’s assets separate from other personal assets. What are the key advantages of discretionary trust? Family trusts structure has many advantages over other tax structures like, partnership, company etc, however it has its own limitations. Below is a list of advantages, please note that this list is not exhaustive, you must seek your own independent legal and accounting advice. Net income in a financial year can be distributed amongst beneficiaries in a way which minimizes total income tax payable by the family unit. This distribution has to be included in the beneficiaries’ income in the financial year when the trust has earned the income and not the year when the income is distributed, e.g. trust income of $10,000 is earned in financial year ended 30th June 2010 and distributed to the beneficiary on 15th August 2011, this income has to be included in the beneficiaries income tax return for the financial year ended 30th June 2010 and not 2011. The classification of trust income, for example, dividend income, foreign income, or capital gain continues to be recognized under the same classification in the individual beneficiary’s income tax return and any imputation credit or foreign tax credits flows through to the beneficiaries as per trustee’s discretion. If beneficiaries are under 18 years of age, by distributing income to them, trustees can avail their tax free threshold and low income rebates. If there are no individual beneficiaries in marginal tax rate lower than company tax rate (at the time of writing 30%), then trustees can distribute income of the trust to a (new and not trustee) company and pay tax on income at the company tax rate. The trustee can decide not to distribute any income of the trust and instead accumulate income of the trust. The trustee is liable to pay tax on the net income of the trust at the highest Individual tax rate. However, the commissioner of taxation has the discretion to charge tax rates applicable to an individual of an identical amount. When income is accumulated, it forms the part of the trust fund and not taxable to the beneficiaries when distributed on vesting date. Unpaid present entitlements can be an issue in some cases, we recommend that you speak to a suitably qualified solicitor or accountant. Only net income of the trust has to be distributed, a trust can also contribute superannuation for a beneficiary, which means that tax on income of the trust can be limited to tax rate on contribution to superannuation which at the time of writing is 15%. If a trust has a loss and has received imputation credits in the financial year, the trust can lodge its own income tax return and carry forward the loss to the next financial year and claim a refund of imputation credits. On disposal of any asset of the trust, it is entitled to a 50% discount factor on capital gains, if assets are disposed after one year, this discount flows through to beneficiaries’ on distribution. If trustee distributes trust assets to a beneficiary, capital gain event triggers and the trustee will be deemed to have sold the asset to the beneficiary at its market value. This capital gain can be allocated / distributed to the same beneficiary or to another beneficiary with the discount factor if applicable. One of the main features of a family discretionary trust is its asset protection capability. Assets which are held in a trust fund for the benefit of a particular person(s) as distinct from assets directly owned by him/them are automatically protected from that person’s creditors. This can be very important in certain professions like doctors, lawyers and accountants or those who are prone to litigation or in situations where business venture may become bankrupt. Assets which are being held in a trust fund prior to marriage, for the benefit of a one party can similarly have advantage in matrimonial disputes. However, family courts in certain situations are known to have 'seen through' the trust arrangements and allocated assets held in a trust amongst spouses. Likewise, few recent cases have raised the possibility of a trustee in bankruptcy accessing the assets in a discretionary trust over which the bankrupt beneficiary has 'de facto' control, we recommend that you take your own legal advice. Any distribution to a beneficiary need not be physically paid to them. If the beneficiary agrees, trustee can retain money which it has decided to distribute to beneficiary and establish a bare trust for that beneficiary within the family trust. The trustee can then invest that money on behalf of the beneficiary as per powers given to them by the trust deed. Money’s belonging to beneficiaries who are under a legal disability, like minors distribution money from a trust, can be held by the trustee, in trust, till they reach 18 years of age. The trustee may apply money held for minor beneficiary in payment of education, clothing and other similar expenses which are for maintenance, education or benefit of minor beneficiary. Alternatively, trustees can distribute minor’s money, to their parent or guardian. Can safeguard certain social security payments for beneficiaries. What are the key limitations when operating a discretionary trust? One of the key limitations of operating with a trust structure is that it cannot distribute capital or revenue losses to its beneficiaries. Hence, when a trust incurs a loss beneficiaries are not able to offset that loss against any other assessable income that they may derive from other sources such as salary, interest, dividend etc. Whose name are assets held by a family trust? The trustee is the legal owner of trust’s property. This means that trustee’s name should appear on all ownership documents, such as shares, managed funds, property etc. However, this ownership of asset is not in their own benefit right, but as a legal owner, on behalf of the trust. Hence, wherever applicable, assets ownership documents should carry the tag "In Trust For", or ITF or "As Trustee For" ATF, e.g. the owner of the trusts share can be either "Mr R Smith ITF Smith Family Trust" , in case of individual trustee or "R Smith Pty Ltd ATF Smith Family Trust" in case of company trustee. In some instances, above name cannot be inserted in the ownership documents, as most land title offices do not recognise a trust and will only register title of property in the name of the trustee only, who will be the legal owner of the property. The land titles will not allow the above tag. In these circumstances, property has to be registered in the name of Individual Trustee or company trustee wherever relevant. Some advisors recommend drawing up a separate "declaration of trust" deed for each such asset. What is the vesting period of trust? After 80 years of creation date, or earlier, if the trustee decides, the trust will "vest" or cease. The trustee will on "vesting date", put together all the trust’s property, its capital and distribute to all beneficiaries. 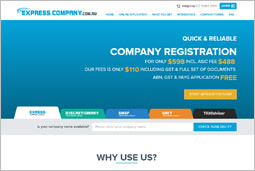 You will be provided with a Certificate of registration of "Australian Business Number" issued by the Australian Business Registrar and the trust's Tax File Number will be sent by the ATO to the trust's nominated address for service of Notice and your ABN will appear on "ABN Lookup" page. Do I get ABN for Trusts using your online form? You can apply for an ABN, TFN registration for your family discretionary trust using our online form. 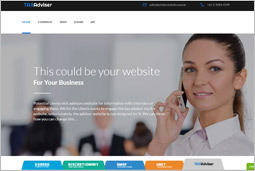 Yes in majority of the cases where all information is duly provided, Australian business registrar (ABR) issues ABN instantly. However, where identity of any associate cannot be verified or more information is needed by ABR then it is possible that instead of an ABN you get a reference number and ABR contact you within 20 days to request further information. Can ABR refuse to issue an ABN to my Trust? ABN is issued instantly as soon as you lodge your online application on our website. However if any information is incorrect, for example the information provided does not match ATO records, then ABR will need some more information from you. This new information will be requested by ABR directly within 28 days from the date of lodgment. Can my Trust use my ABN? No. It must apply for its own ABN. An ABN identifies a particular business and if you are trading as a sole trader, then your ABN is for that enterprise and not for your new company. the state or territory of registration and the registered Business Number, if the business name was registered before 28 May 2012. 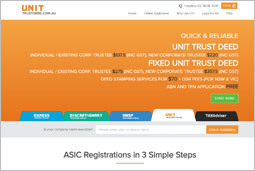 No, we provide the service of registering your company with ASIC only. Registering with ASIC does not mean automatic registration for ABN and TFN. You can register for ABN and TFN online at www.abr.gov.au for free. We have also provided an application form in the document package for offline registration for ABN and TFN. You also have the option for additional $29 to use our form to Apply for an ABN, TFN Registration where we will pre-fill the online ABR application form for you and save you over half an hour of your time.